At Blacks Creek we always try to play a few games with the children to let them let out some of that youthful energy that flows through their veins. 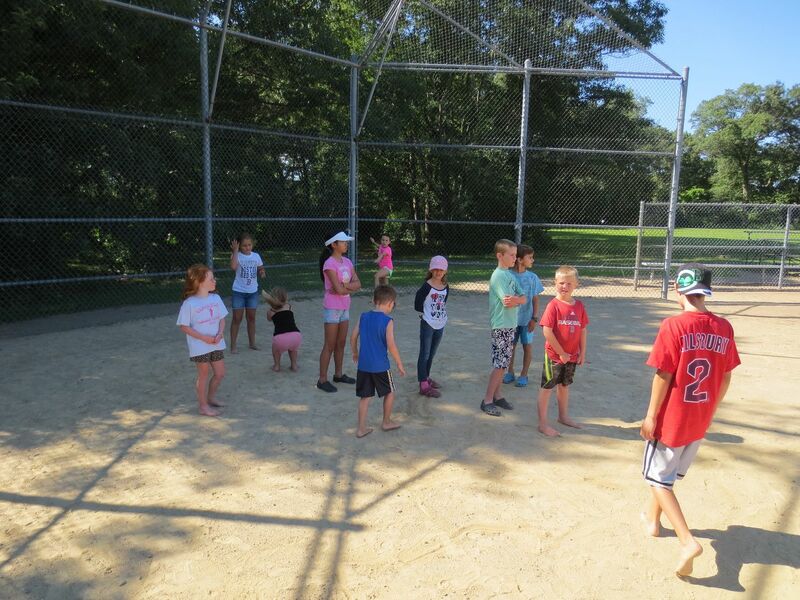 Normally we do a few games of uncle sam and kickball and maybe even some freeze tag but all this week all they wanted to do was kickball. 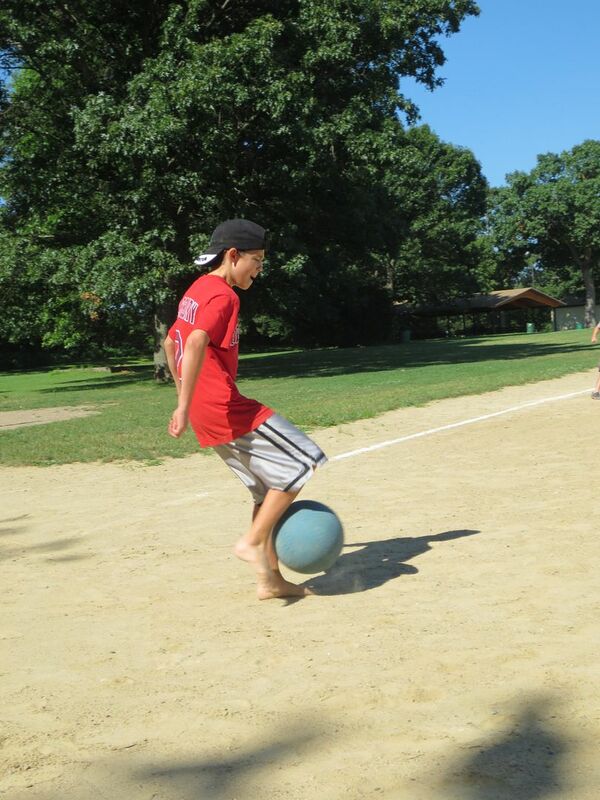 Whenever we would do group votes for games everyone's hands would fly up as the word kickball left our lips. Its also been very fun to watch some of the older kids help make the younger ones better at the game. They have also helped each other to feel comforted, in one situation Grace was struggling pitching the ball but a few of the older guys came over to her and said its okay just do your best and its words like that, that make children better and make them feel comfortable so they can have fun. 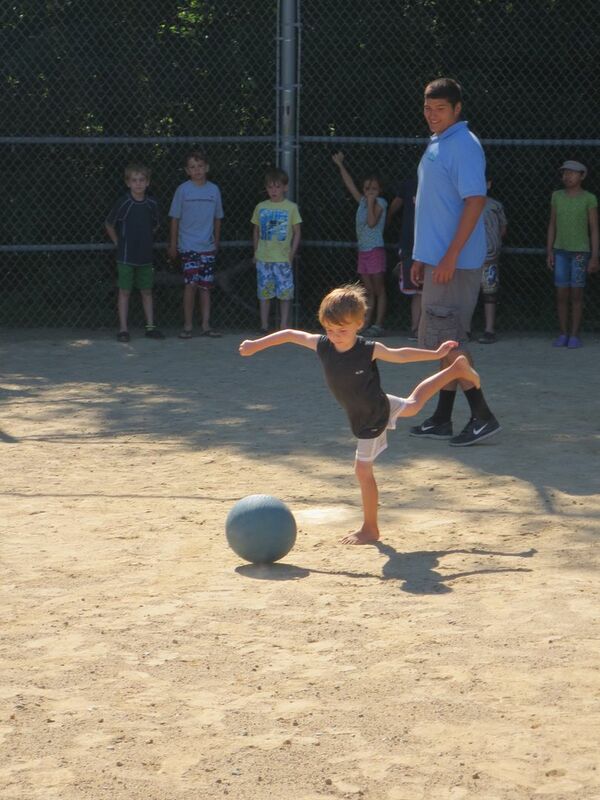 As I stated earlier a lot of the young children who used to struggle with kickball have gotten much better. 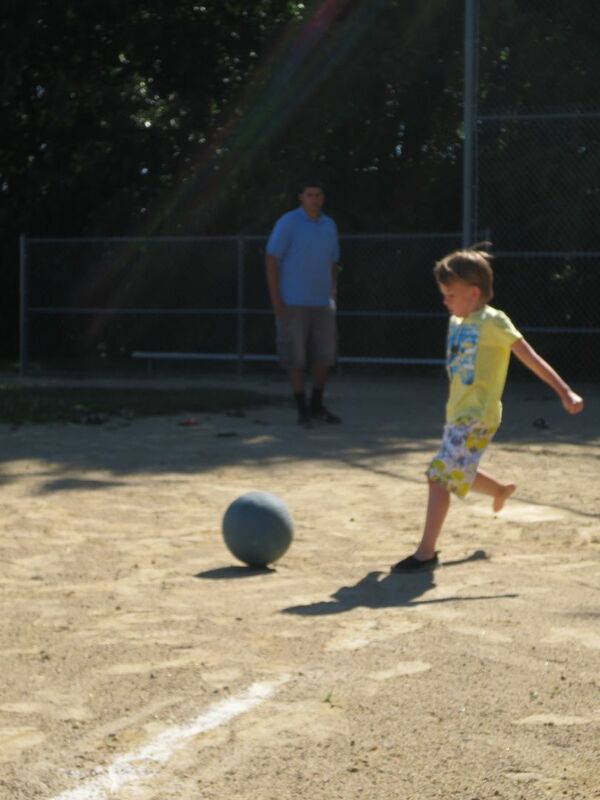 Before the outfielders would stand really close when the saw someone young kicking the ball because they thought they would not be able to kick far but that has changed big time to say the least, now they are learning how to aim their kicks and the games are much more competitive.